Your body’s growth, immune function and ability to recover from wounds rely on zinc. Found in red meat, poultry, fish, legumes, milk and nuts, zinc plays essential roles in several of your body's major systems. Even a mild zinc deficiency may lead to delayed growth in children or an impaired ability to fight infections. If you are at risk for a zinc deficiency because of a condition that inhibits your ability to absorb nutrients or because your diet restricts foods that contain zinc, you may be able to meet your daily requirements through dietary supplements. According to the Office of Dietary Supplements, or ODS, severe zinc deficiency is uncommon in the United States. Conditions that affect your digestion, such as chronic diarrhea, inflammatory bowel disease or celiac disease, may result in a zinc inadequacy. People with diabetes, renal disease, sickle cell anemia and liver disease may also be at risk for deficiency. Because meat, fish and poultry contain a form of zinc that your body absorbs easily, vegetarians may require zinc supplements to meet their daily requirement of this element. The recommended dietary allowance for zinc is 11 milligrams per day for men over age 18 and 8 milligrams per day for women over 18. Your body requires zinc for normal growth. In young children, a mild lack of zinc may interfere with normal physical, psychological and behavioral development, according to the Linus Pauling Institute. Children with a zinc deficiency may show delayed growth in height and weight. A more severe zinc deficiency may delay sexual maturity. Supplementing a child’s diet may improve growth rates and cognitive abilities in children who have a zinc deficiency. Zinc contributes to the health of your immune system. 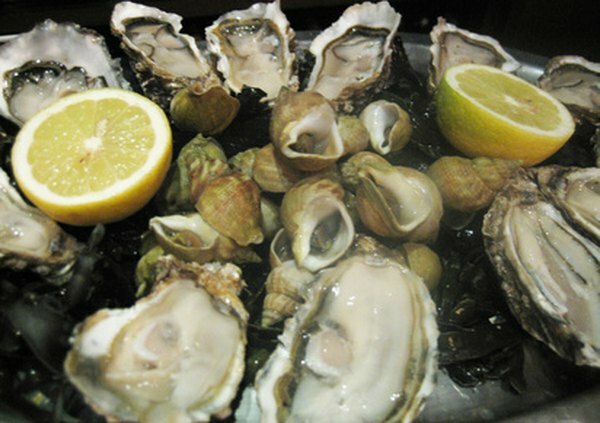 Inadequate zinc in your diet may increase your risk of illness and infection. Older adults with a zinc deficiency may be at higher risk for pneumonia and other lower respiratory infections. A zinc deficiency may make children more susceptible to infectious diarrhea, especially in developing countries where malnutrition is more common, the Linus Pauling Institute notes. You may notice that wounds take a long time to heal if you have a low intake of zinc. Zinc facilitates wound healing by contributing to cellular division, protein synthesis and the production of DNA. Eating foods rich in zinc while your wounds are healing may strengthen the new tissue and improve the scar’s final appearance. According to the Linus Pauling Institute, as many as 82 percent of pregnant women throughout the world may not be getting enough zinc. The effects of a low zinc intake in pregnant women may include premature birth, complications with labor or delivery, low birth weight and developmental abnormalities in the infant. To avoid pregnancy complications, pregnant women over 18 should get 11 milligrams of zinc daily. Breastfeeding women over 18 require 12 milligrams of zinc each day. A severe zinc deficiency may cause a loss of appetite and weight, mental status changes, inability to taste foods, hair loss or a skin rash. If you have symptoms of zinc deficiency, consult your health-care provider for an evaluation of your dietary needs.